Having Celiac disease in the family and adding gluten-free living to your home is no small task. Finding resources you like and trust is helpful, especially in the first year. Even dietitians need a resource to turn to sometimes. I’ve found that everyone likes different things in a resource. Some want an exhaustive resource with everything from medical information to recipes. Others are happy with a collection of tools including things they can keep in their purse, pocket, or smartphone. And then there are those of us who want it all. 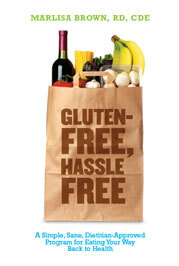 Gluten-free living is so trendy right now, though, a new book, app, or blog pops up every day. The best tip I can offer you is some guidance on how to choose. Choose a reliable resource. Registered Dietitians, also known as Registered Dietitian Nutritionists, are the best source of well-rounded nutrition information. A number of good resources have been written by Dietitians. In fact, all of my go-to resources about Celiac disease include a dietitian as an author. Check out the endorsements. Good people run in the same circles. It’s not a fool-proof way of choosing, but it’s one factor. Do you understand it? For a resource to be useful to you, it needs to be easy to understand. We all learn differently, so choose a resource that speaks to you rather than “the most scientific.” A good medical professional can explain things in an easy-to-understand and easy-to-use manner. That’s what you want. Don’t spend a lot. There’s no need to spend a fortune on one resource these days. Save your money for tasting foods and trying new recipes. With all that in mind, here are four of my favorites from my bookshelf. I’ll cover other media in another TTT. This book is truly a comprehensive resource for information about Celiac disease as well as gluten free foods for cooking and prepared foods to purchase. Shelley updates her book often, so it’s definitely worth your money to purchase the latest copy. The book is available on Amazon.com and from her website. I met Marlisa at an exhibit for members of the Academy of Nutrition and Dietetics. We had a good conversation. Her book is what it says a program for going gluten-free. In her book she shares up-to-date information about Celiac disease, a number of recipes, and Gluten-Free Meal Cards to share with the restaurant chef in a number of languages. This can be especially useful if you’re traveling! This is another resource that keeps changing. What I love about it is that the focus is on getting people out and about and traveling. I ran across them when they were first publishing their book and booklets. They make great pocket guides you can keep handy to guide you through food choices in various countries and cuisines. In fact, they’ve taken that concept so far, I can’t begin to share all the goodies they have created. 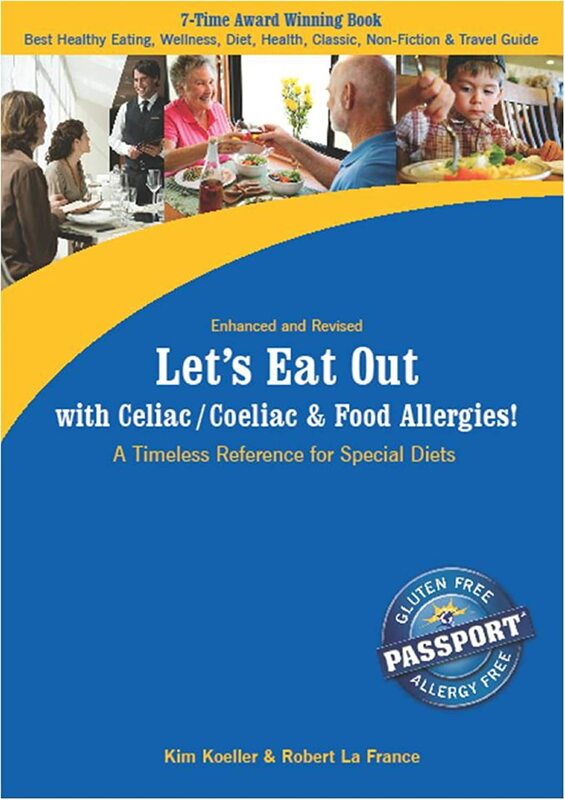 So visit their website: http://glutenfreepassport.com/lets-eat-out-paperbacks/lets-eat-out/ to learn more. You can also follow the resource I like in my Amazon Store, linked to my website. (I created the store not to drive income, but as a place to gather the tools and resources I enjoy using.) I know what you’re thinking. What about cookbooks and recipes?! Be patient. Those will come in another tip! For now, find your “go to guide” for when you have questions. What books are you finding useful? Share your good finds in the comments section or on my FaceBook page!